Its good to be FOM! We do this thing every year where we all get together, hang out, have some fun, drink a little, have some more fun, its great and I highly recommend it! Anyway.... last year we got together on a little bigger scale than usual and turned it into a right proper event with ticket sales and web pages and the works! And we did it in Lake George at the Tiki Resort. This place was amazing, it really is like the Land That Time Forgot. 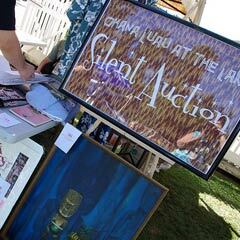 Our event was named Ohana, Luau at the Lake, and part of the proceeds from the event were set aside for charity. 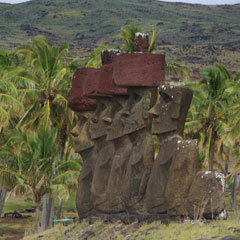 We managed, with our small group, to raise $3,000 for the Easter Island Foundation, which is really saying something considering there were only about 300 people in attendance. Check out the link at the top of this post to read a bit more. Long story short (too late! ), its good to be FOM. Good friends, good drinks, and now with good deeds! I still haven't quite figured out why turning the calendar page on this day is any more exciting than any other..... I do appreciate the excuse to throw/attend a party! Thanks to the internets I found this interesting picture from someone named Mil and is a great reminder of how the last decade got started. Remember how everyone was waiting for something to happen, and then it didn't. I want to go on record now and say that in about two more years it will be the same kind of thing. Enough drunken ranting.... Happy New Year! Peace, Love, and Understanding to you and yours.